Toronto Moving Company "AIM Toronto Movers"
Long distance moving includes any move that crosses provincial lines. AIM Toronto Movers offers service throughout Ontario, Canada and US, focusing on shipments arriving and departing from Toronto area. AIM Toronto Movers guarantees on-time pick-up and delivery. Whether your destination is Ottawa, Vancouver, or New York, we're proud to offer the best possible service at an affordable price. As a professional and experienced long distance moving company, we will ensure the safety and care of your belongings, so you can concentrate on a new beginning. Long-distance moving is based upon the mileage from the Toronto moving origin to the destination, and the cubic footage of your belongings. AIM Toronto Movers will pick your items up from your home and store them at AIM Toronto Movers Storage until the shipment is ready to leave for the destination. Alternatively, AIM Toronto Movers offers pick up at your current residence with a direct delivery to your new home. AIM Toronto Movers will complete a full inventory of your belongings and will safely and securely wrap or box items that require special care. When it comes to moving your personal belongings across the state, nothing is as important as a fully-qualified, trained team of long distance movers. AIM Toronto Movers gives you personal and caring service and a promise to treat your belongings as we would our own. 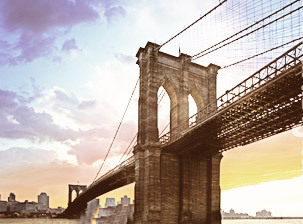 Call 647-878-MOVE (6683) now to find out more about our special offers for New York destination! "I chose your company due to the outstanding references I contacted about your services and the manner in which they were done. I want you to add me to the list of very satisfied customers. The three men that were assigned to our mover were most professional with a ‘get down to business’ attitude and a concern about the fragile items they were moving. They did an outstanding job."